Once you have received an order, you need to process it with AliExpress. 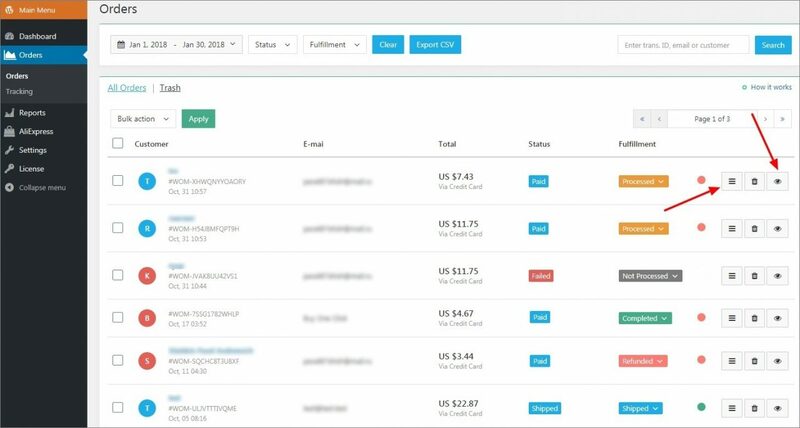 Go to AliDropship => Orders, find the order and click on the bars icon to learn more and on the eye icon to get the exhaustive details about the purchase. Failed. Payment has not been processed successfully. Cancelled. Payment has been cancelled by a customer. Abandoned. A customer has not completed his/her purchase. Not Processed. The order has been paid, but not placed on AliExpress yet. Processed. The order has been placed on AliExpress. Shipped. The order has been sent to your customer. Completed. Your customer has confirmed order receipt. Refunded. The order has been refunded. 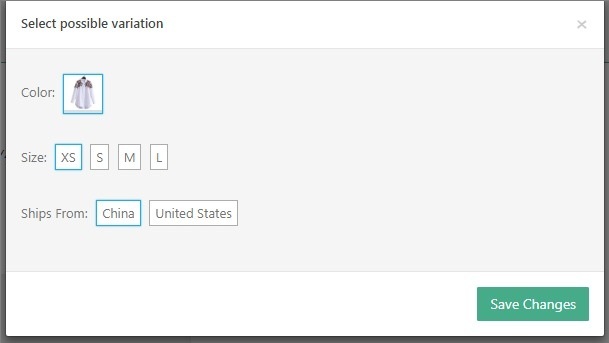 Click the Export CSV button to export your orders in the CSV format. With the Edit option, it is possible to make changes to product variations before placing the order on AliExpress. Click on the pen icon to continue. Select necessary product variations and click Save changes. You can check activities list below the order details. For more information, click on the eye icon. 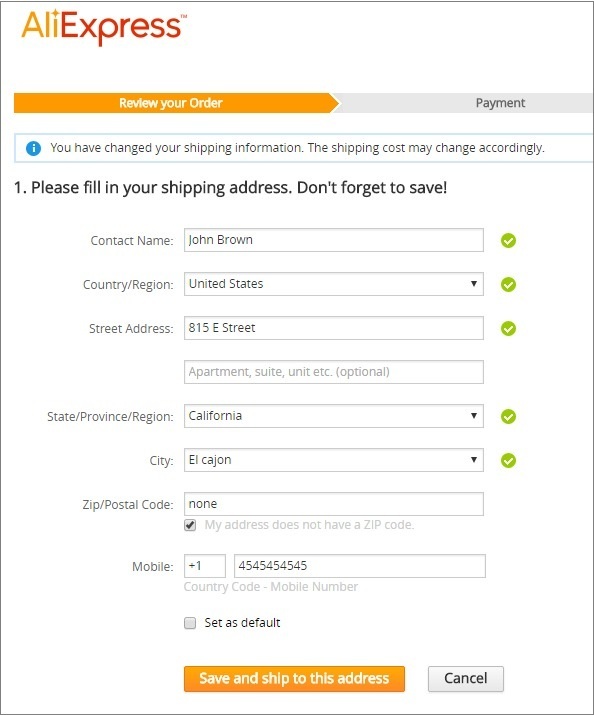 You can place orders either automatically or manually. Click Place oder automatically to proceed with processing your order. To complete the purchase, click Confirm & Pay at the bottom of the page. Please note that you need to have AliDropship Chrome Extension installed to be able to use this feature. Once the payment is completed, the plugin will redirect you back to your Orders page. To check the whole process of placing orders automatically, please see this video tutorial. After the order is placed, you will be redirected back to the order details and its status will be changed to Processed. Please make sure you have enabled automatic settings of order fulfilment in AliDropship => AliExpress => Settings => Order Fulfilment. 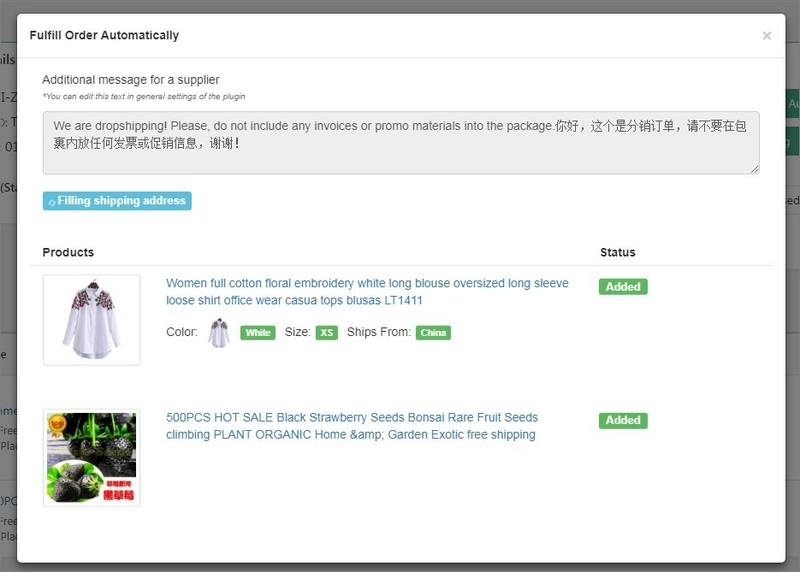 As soon as the AliExpress seller ships the package, the order status turns to Shipped so that your customer receives an email notification that his/her order has been processed and the package has been sent. Change fulfilment status manually if automatic order fulfilment is not activated in your plugin settings. Alternatively, statuses of your orders can be changed on the Orders page. Color indicators located on the right-hand side of the page show whether tracking number is available (green) or not (red) for a particular order. Refer to this guide to learn how to work with tracking numbers.